I chanced upon your website through google search and think it is very useful. I am interested in developing an application using GNSS + 3G connectivity and think your book may be useful. How much does it cost and how do I buy it ? 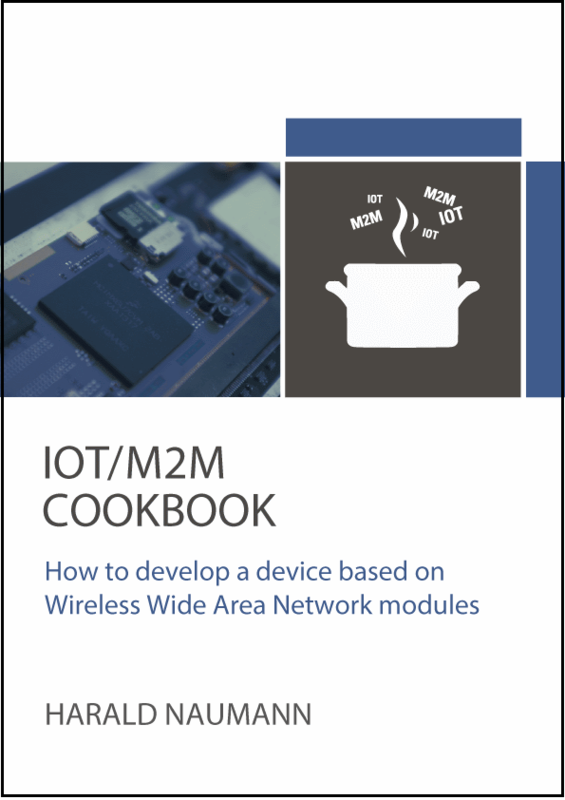 Thank you for the interest in my IoT M2M Cookbook. I will come back to you by email. A major part of the book is about embedded antennas and ground plane. It includes a simulation of a GSM IFA antenna in different versions. The simulation includes the results by changing the size of the ground plane, enclosure and further parameters. This engineering job has already a value of Euro 3.500. The book got a zone for download in the meantime (http://www.gsm-modem.de/M2M/tool/ ). Here you’ll get for example the Touchtone export file out of the simulation for an upload to the free of charge software http://www.atyune.com/ to design a matching circuit. This means you can play with the simulated antenna and will learn what will happen by changing components in the matching circuit. Every reader gets an in detail explained antenna shape and will be able to use the learned lessons for integration of any kind of self-made or out of the shelf antenna. Other chapters explain common mistakes of developers that I have seen during the last 20 years. Since January 2014 several PDF files were delivered. In parallel I consult a few wireless projects with embedded cellular antennas. The feedback of the readers and the feedback out of the projects trigged some new chapters or additional text in existing chapters. I still accept sponsoring of the book. The money out of the sponsoring I will use to finance the proof reading by an English native speaker and changing of some graphics. The latest sponsor is http://www.sgsgroup.de/en . They helped with four proposals for the book cover. I would be glad when you will be a reader of the book as well. I hope that you will enjoy reading and I hope it will save some of your time, too. I came across this book thru a post of yours on linkedin. How do I get access to it? Dear Ramki, I offer the book as a PDF for download. Just have a look in your email inbox. You will find an email that will descripe the next steps. Have a nice weekend. I am also interested in your e-book. I can tell there is a lot of useful information from the chapter titles alone! Please can I have access to the pdf download too? If you need any help with proof-reading, I may be able to help. and explained in detail how to use such a tester. On top I offer the consulting at customers office. The customer and me sit together in front of the Willtek 4202s test together. We start with a standard mobile phone and move in second step with testing their own IoT / M2M devices. and to make some tests public. On top I have started to consult the developers how to use such a tester at their local at their office. Dear Jason, I will come back to you by email. I’m developing a traking device and I think your book may be very useful. How I can have it? Hi Marco, thanks for your interest. I will come back to you by email. is there already a price for the book? and made some measurement reports taken by the tester public. I explained what to do with such a tester and why. In parallel I started to offer consultancy local, by email and phone. My target is to make the life of IoT M2M developers easy. As soon the first book is finished I will start to write the next book. The concept for the next book is already in my mind. I am interested in ordering a copy of your book. Please email me the details. Dear Chris, thanks a lot. I will come back with a proforma invoice to you. I am interested in buying your book. How can I get access to it. Hi Adithya, I will come back to you by email. Please help with your postal address. This is neccesray to write the proforma invoice and later on the final invoice. I am interested too in having a copy of your book. Please email me the details. Alberto, I will come back to you by email. BTW, I visted your website. Your products look very nice. Dear Laurent, I will come back to you by email. Just to let you know, that the book will contain all updates up to the final version. Right now, I try to follow the wishes of the book readers and write updates of chapters or complete new chapters. I plan to finish it including proof reading by native speaker for end of this year. One of the latest chapters is the testing of IoT M2M devices on GSM by GSM tester. I bought such a GSM tester and made the test reports public. I also explained which tests shall be done and why. On top I offer consulting local at customer office, telephone and email. I got training by a very high skilled engineer yesterday. The RF engineer runs a small company and produces its own VNA with small bandwidth (2400 MHz range). The result out of the training I will try to make public. Testing of embedded antennas on PCB is real difficult. I will try to explain it so detailed, that the book readers will be able to follow or at least will understand, that you will worst case have a need of a third party for the tuning. I am interested in purchasing your book. Venki, you will find a proforma invoice in your inbox. We are developers of IoT solutions for our industrial customers. As part of our solution, we also integrate with some of the things you mentioned like GPS, GSM/GPRS. Would be keen to know your learnings and see if we can help add some more. Could you please share the ebook. I will come back with an email. My first IoT M2M Cookbook is related to cellular modules (GSM/GPRS, UMTS, HSPA, LTE) plus GNSS (GPS, Glonass, Galileo), because I am close to 20 years in GSM+GPS. Right now the updates of the book are driven by the readers. I try to follow their wishes. I came across your IoT cookbook through our common friends on linkedin. Can I get access to it? Hi Ilko, I will come back to you by email. I need your postal address to write a proforma invoice to you. Hi Harald, I am interested in your book, can you send me a copy? Hi Emir, I will come back to you by email. Are you at electronica in Munich next week? If yes, then we can meet. I will stay all days. How can I get Access to a copy? Hi Jan, I will come back with an proforma invoice to you. After that I help with a copy by download. BTW, will you stay at electronica in Munich? I will stay the whole week at the stand of Compotek / Tekmodul Hall A4 / 342. Can we meet in Munich? I am interested in your book, can you send me a copy? Dear Kumar, yes every IoT M2M developer can get a copy. Please be so kind and email me to harald.naumann (at) gsm-modem.de. I need your postal address to write the proforma invoice. Will you stay at electromica in Munich next week? I will stay the whole week at the stand of Compotek / Tekmodul Hall A4 / 342. I will show the latest version of the book plus some antenna shapes on customer PCBs. I am interested in your book, how to proceed to get access to it. Dear Artur, I will come back to you by email. BTW, I met your company years ago at Hanover Industry Fair in Hanover. I would be glad to meet again. See you. While investigating how to add a PCB antenna to a SIM900a module I dicovered your site. Very interesting indeed, thank you. Also I would like to order a copy of your book. Can you please send me the details to do so? Dear Clemens, sorry for delay. I was on a business trip in Bavaria this week. I will come back with an offer for my IoT M2M Cookbook by email. Are you sure to stay with a SIM900a? I can help with a smaller GSM module on lower price including pretty good support. Pretty good support means support by the manufacturer and support by me as well.The supportis up to free of charge test in electronic chamber for M2M projects on resonable size. BTW, if you like you can get articles about wireless modules and applications from me for your magazine. Your office is not so far from my home office. If you like we can meet each other next weeks.